New Delhi, May 18: Can prayers influence the outcome of any election? At least the Archbishop of Delhi believes in it. And he wants all the Christians to believe. That is what his latest letter to all the Christians says. It all began with the December 2017 Gujarat assembly elections when the Archbishop of Gandhinagar Thomas Macwan issued a letter to defeat the “nationalist forces” and prevent them from “taking over the country”. “Election results in Gujarat can make a difference”, he said in his letter. And now the Archbishop of Delhi ha issued similar letter asking all the ‘Fathers, Brothers and Sisters’ to hold prayer meetings and fasting to nullify the threat to “democratic principles and secular fabric” of our nation threatened by “the turbulent political atmosphere”. Archbishop of Delhi Anil JT Couto called on the faithful in every parish to recite the prayer and fast for a year starting May 13, 2018 and perform the Eucharistic adoration every Friday until the 2019 elections. 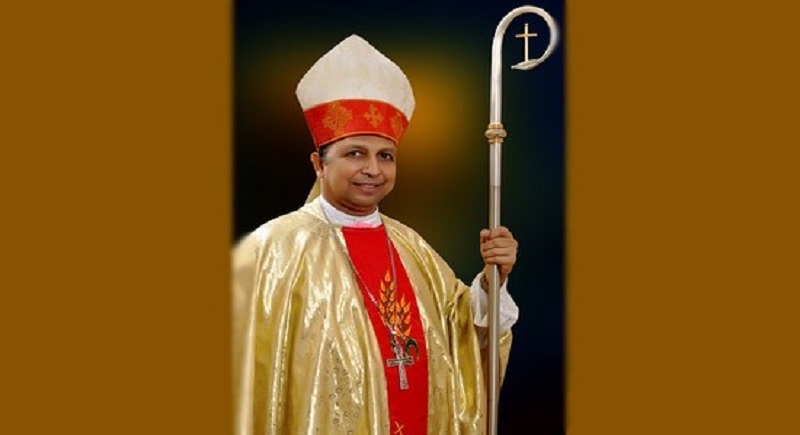 The Archbishop urged the believers to pray so that the country can be guided by pluralism and government wisdom in which the poor, tribals and Dalits are considered and respected with equal dignity. In Karnataka’s elections, surprisingly, the BJP did not get a majority. His letter is dated May 8 but was released on May 12, on the eve of the anniversary of the first apparition of ‘Our Lady of Fatima’. The Archbishop emphasises the value of prayer and the importance of fasting as redemptive practices. In his view, what needs to be redeemed is India’s political life in which Christian and Muslim religious minorities are increasingly targeted by Hindu nationalist radicals. Indeed, not only Christians but Muslims as well are victims of attacks. Tensions have intensified following the victory of the Bharatiya Janata Party (BJP), which is in power in 21 out of 29 states. However, the Hindu nationalist party failed by a small margin to take the State of Karnataka in recent elections. Theodore Mascarenhas, Secretary General of the Catholic Bishops' Conference of India (CBCI), welcomed Archbishop Couto’s proposal. “It’s a good initiative. Prayer is the main path. Praying is always a good thing. So, let us Christians pray for the country, so that political leaders can be prudent and enlightened,” Mascarenhas said. As we look forward towards 2019 when we will have [a] new Government, let us begin a Prayer Campaign for our country from May 13, 2018 which marks the Anniversary of the Apparition of the Blessed Mother at Fatima, consecrating ourselves and our nation to the Immaculate Heart. I request that we observe a Day of Fast every Friday of the week by foregoing at least one meal and offering our penance and all our sacrifices for our spiritual renewal and that of our nation. Moreover, I earnestly request that we organize an hour of Eucharistic Adoration every Friday at a convenient time in all our parishes, religious houses and institutions, specifically praying for our nation. During this Adoration the enclosed Prayer may be recited. Oh God of freedom and love, let your light of truth shine on our Nation, dispelling all darkness and untruth. Let the dreams of our founding fathers and the values of our Constitution – Equality, Liberty and Fraternity – be always held in highest esteem. Let the people of all castes and creeds, all denominations and persuasions live in harmony and peace steering far away from hatred and violence. Protect our legislatures as a place of discerning minds. Raise our judiciary as the hallmark of integrity, prudence and justice. Keep our print, visual and social media as the channels of truth for edifying discourses. Protect our institutions from the infiltration of the evil forces. Let the poor of our country be provided with the means of livelihood. Let the Dalits, tribals and the marginalised be brought into the mainstream of nation building. Let justice and integrity prevail in every sphere of our life. May the ethos of true democracy envelop our elections with dignity and the flames of honest patriotism enkindle our political leaders. This is our cry, Heavenly Father, in these troubled times as we see the clouds eclipsing the light of truth, justice and freedom. Almighty Father, bless our nation with the revival of the Gospel values in the name of your Beloved Son Jesus Christ by sending forth your Holy Spirit. Oh, Mary our Blessed Mother, who appeared at Fatima, give hope to the struggling nations and intercede for our beloved country. Amen.